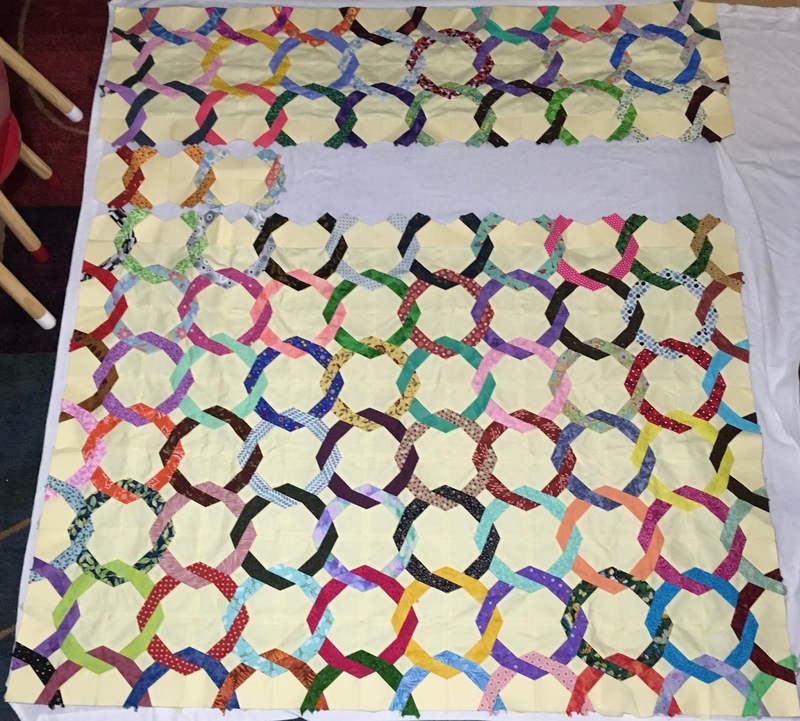 Here’s a picture of the quilt so far. It measures 63x70. It will contain 110 different fabrics once the last of he chains are finished, all from stash. No new fabrics were purchased for making this quilt. The pieces for the remainder of the row are all cut and organized so it’s just a matter of finishing basting them and the getting them sewn together. I’ve gotten a start on writing up the pattern and my editor friend Charlene has read them over and says they are clear and understandable so far, which means I can continue on past writing the first step and get the instructions finished. I can’t put a time or date for it at the moment. I’m linking up to Kathy’s Slow Sunday Stitching. A testament to your extensive stash! Looking great! I hope you are feeling better soon. I hope the side effects of the meds get better, and also the reason for the meds. Sorry. I love reading all your comments, and am grateful for each one. I try very hard to answer them all, but lately I haven’t quite been able to answer all of them.